I tried a Global Design Project challenge today and the challenge was to case the designer, Kylie Bertucci. This is my version of her card. I wanted to show my friends how pretty the new sale-a-bration items were so I used the Make-a-Medallion stamp set #143274 and the Glimmer Paper Assortment Pack #143831. 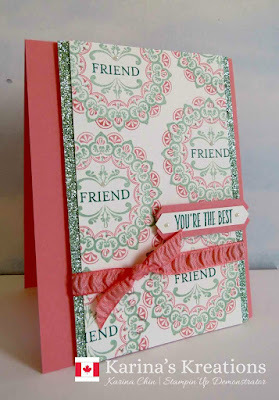 I used the Flirty Flamingo, Mint Macaron and Emerald Envy ink on my card. 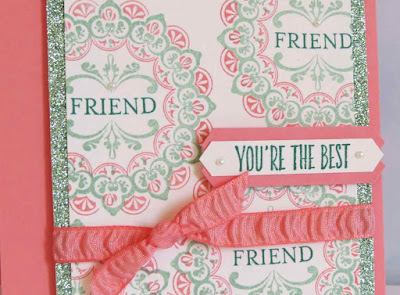 I tend to create with the Stampin'Up In-colors because there is coordinating ribbon and enamel shapes to jazz up your card. 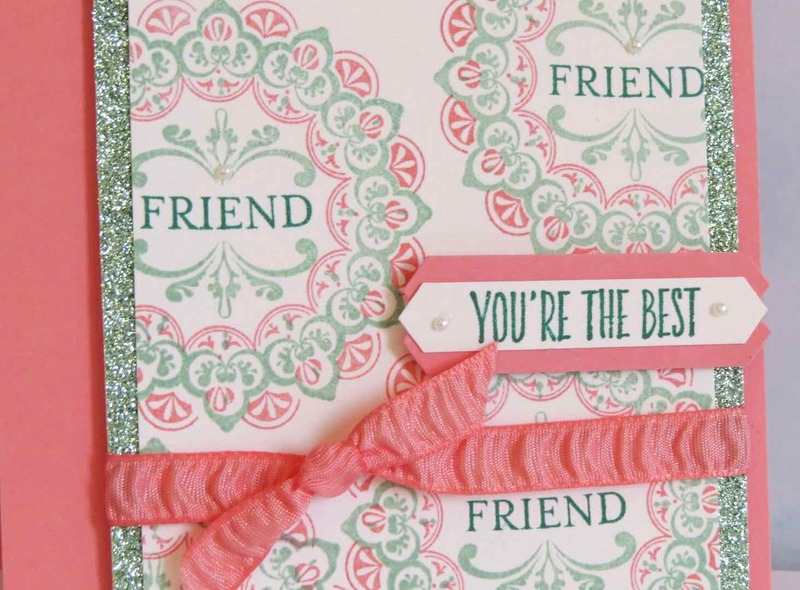 My greeting is from the All Things Thanks stamp set #143097 and was punched out with the Classic Label punch #141491. This punch coordinates with so many different greetings. If you live in Canada I would love to help you with your order! Oh, great use of SAB products. I rally like the layered banner too! Great card Karina. Thanks for joining us at Global Design Project this week. Thanks Kylie and thanks for the great design!